Our Parasol Base accommodates all parasols in the Westminster Teak range (not compatible with Montecito Umbrellas). 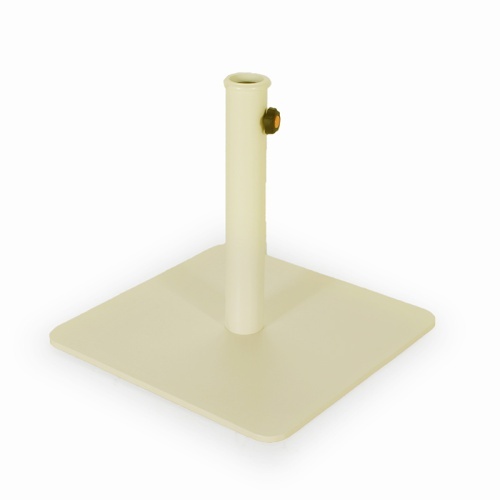 The bases provide a sturdy anchor point and is strongly recommended for all extendable tables. The Westminster parasol base is made of steel. It is not a standalone base but rather is used in conjunction with any of our teak tables.